I have begun the exciting process of creating some ebooks out of my vast catalog of drawings. 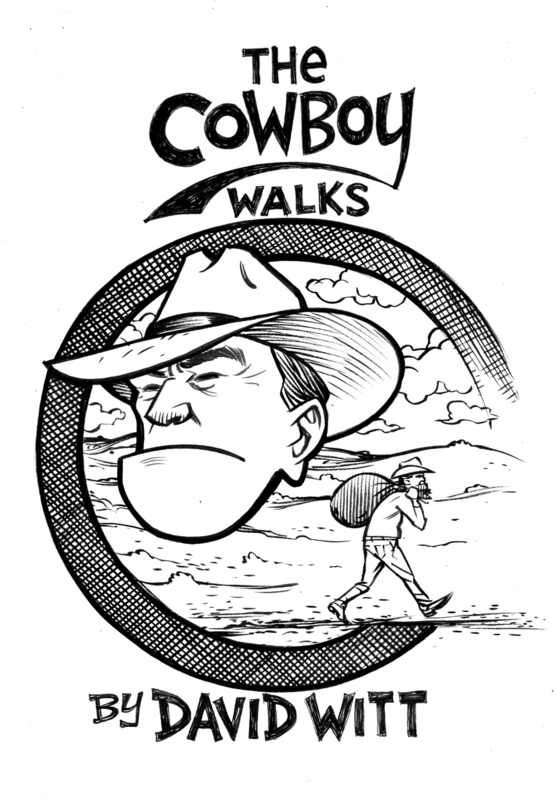 The first book I have available is a comic I wrote and drew during 2011's 24 Hour Comic Day which I have titled, "The Cowboy Walks". The Cowboy is a character I've had around for awhile, and will be appearing again in future comics. To purchase an ecopy, click this link to Amazon, and once you've completed payment, enjoy The Cowboy Walks instantly on your Kindle or other preferred ebook reading device. More books coming soon! Hello everyone. I'm setting up a newsletter mailing list to keep everyone interested in my work up to date on my goings on, whats on my drawing table, and what new work will be released and where. Click on THIS LINK and fill out the 3 information fields, then enjoy monthly news updates delivered directly to your inbox.